The Bulletin Of Atomic Scientists has an updated report on the worldwide locations of nuclear weapons in 2009. As the United States and Russia continue to consolidate their nuclear arsenals, the number of sites in the world that host nuclear weapons also has decreased. The FAS strategic blog points out to a recent ONI report that is chock full of interesting material. 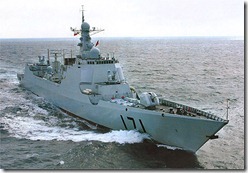 FAS focused on the information that the new classes of Chinese SSNs & SSBNs are much noisier than previously estimated, but the report encompasses the totality of Chinese naval developments and future prospects. 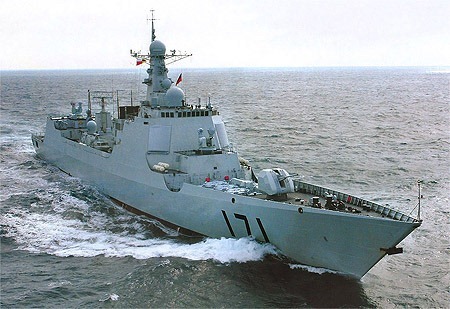 Aspects such as the modernisation of shore-based naval aviation, the status of the aircraft carrier program, the emergence of the ASBM threat and the new classes of surface warship and amphibious and replenishment forces are covered. The full report is available here, a recommended read for interested observers. Bonus info: The ONI cosniders the Oscar-II class subs to be substantially quieter than the Akula I, though inferior to Akula II. DB authors take note!